Akkar Charles Daly 20 gauge model 300 Pump Action Shotgun Breech Bolt View 51 30020RC51 Old Stock 3 Parts Ship Free! Description: This listing is for ONE Breech Bolt. Any combination of 3 or more non-gun non ammo items ship free, lower 48. 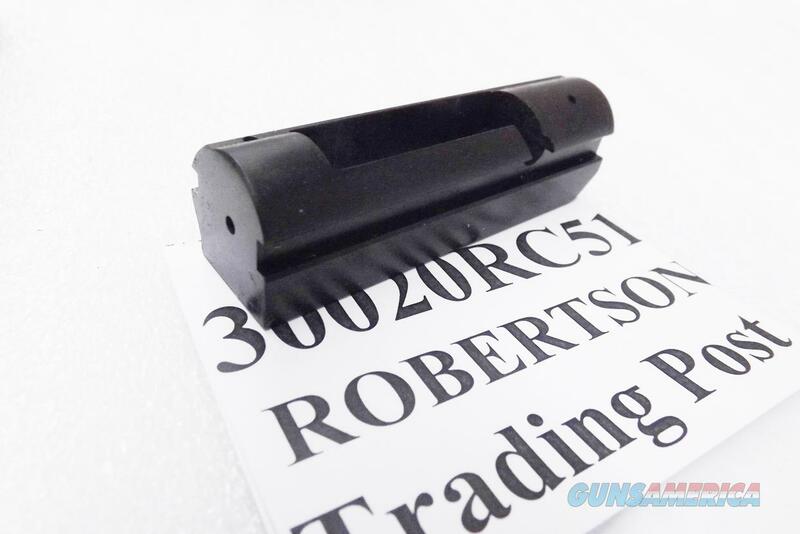 From an Importer liquidation come these old stock parts for an Akkar made Charles Daly model 300 Pump or slide action shotgun chambered in 20 gauge only. Manufacturer was Akkar Silah Sanayi Ltd. of Istanbul, Republic of Turkey. Importer was Samco Global Arms, Inc. / SGAI of Miami, the Charles Daly Importer from 2012 until 2015. Production dates ranged from 2007 until 2014, and corresponds to the first two digits of the shotgun's serial number. Construction is entirely milled steel with a matte blue oxide finish. This is the bolt variant with the relief cut on its left side; it will fit both older model and late 20 gauge model Akkar and Daly Pump Shotguns made from 2007 until 2015. Dimensions are 3.029 inches long; 0.845 inch wide; and 0.8625 height. Schematic number is View 51. These bolts will only fit an Akkar model 300, or an Akkar / Charles Daly model 300 pump or slide action shotgun chambered in 20 gauge. They will not fit in any other shotgun that we know of. Note that they are stripped, bolt only; and do NOT contain any firing pin, extractor, springs or any other parts. Replacement pricing on this part runs upwards of $80 on GPI. We're offering the Akkar Daly milled steel Breech Bolts in the photos, however, each	for only	$ 23.00. >>>>>>>>>>>>>>>>>>>>>>>>>>>>>>>>>>>>>>>>>>$3 Lower 48 First Class Mail Padded Envelope; $10 Priority to AK HI PR. First Class sometimes requires removing the item from its package.